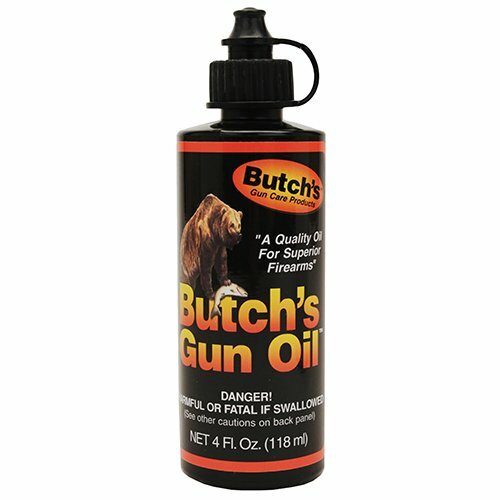 Butch’s Gun Oil is an ideal bore protectant and conditioner, especially when used with Butch’s solvent. It is a proprietary blend of natural oils that withstands the intense heat, friction and pressures produced in a firearm’s chamber and bore. The product’s rust inhibitor provides the absolute maximum in corrosion protection for both regular and stainless steel firearms. In addition, this oil is also a superior lubricant instantly making gun parts work noticeably smoother.